Well, 2014, you were quite a year, and not always a very positive one. But in the midst of all the chaos and horrors that you presented to us, you also gave us beautiful and amazing stories, and I thank you for that, and hope that 2015 gives us a break on the heartache front. I'm on a general upward tick on reviewing books by women (last year I was at 55%). I don't actually care that much about this statistic, not because I don't think it's important to read books by both men and women, but because I seem to naturally be fairly even no matter what I read. I track the number of books I read by diverse authors, but not nearly so much the number of books I read by women authors. If I did not drive 2 hours a day, my reading stats would just plummet. This number is actually up from last year, even though I still listen to quite a few podcasts as well. 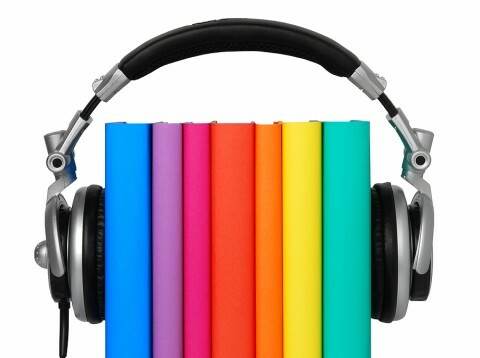 Definitely am a fan of audiobooks now, though it took me some time. Still, would prefer to have the 2 hours of my day back. 50%! And I promise you I didn't read any books that did not interest me. As I have said several times, reading diversely does NOT require you to change up the genres you read, it just requires you to spend a little more time looking for books within those genres. Every year, this is far below what I expect it to be. And this year, many of those books are memoirs. I think maybe I just need to come to terms with the fact that I don't read as much non-fiction as I think I do! Also, non-fiction doesn't always work well via audiobook, which limits my ability to read a ton. Oh, no! This is the lowest this stat has ever been. Not to mention that I totally cheated and read many books that I own via audiobook rather than actually taking them down from my shelf. This stat always stresses me out, but again - my shelves are not very diverse, not a ton of the books I own are on audiobook, and many other books just interest me more. I can NOT feel guilty about this stat and also be proud of the other ones. RIGHT? This explains a lot of the prior statistic. Chicago Public Library, I adore you. I discovered her in January and am so in love with her mysery series starring a man of uncertain race in South Africa just as Apartheid begins to take hold. If you like mysteries and haven't read her yet, check her out! Marjane Satrapi's grandmother. Not even fictional, which makes her more awesome. 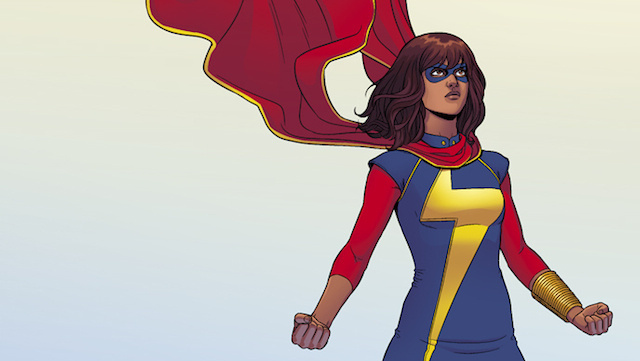 Kamala Khan - Muslim-American superhero. NBD. Lisa, from Monkey Beach. This girl broke my heart time and time again, but in my mind's continuation of the story, she is happy. The unnamed narrator from The Reluctant Fundamentalist. He was just mesmerizing. And, of course, the inestimable Flavia de Luce. 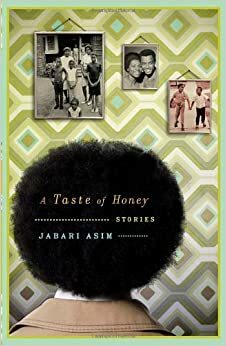 A Taste of Honey, by Jabari Asim. Found this slim collection of inter-connected short stories on the library shelf and picked it up on a whim. Reminded me just how good short stories can be. The Raven Cycle, by Maggie Stiefvater. It's not done yet, but my goodness. The Ladies of Grace Adieu and Other Stories, by Susanna Clarke. It has been a VERY long time since I read Jonathan Strange & Mr. Norrell, but within minutes, I remembered why I loved that book so much. I hope and hope and hope that Clarke has more books up her sleeve. 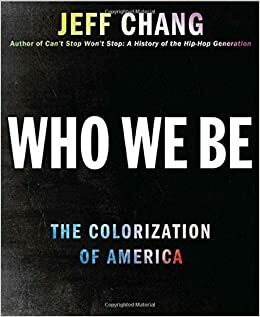 Who We Be: The Colorization of America, by Jeff Chang. This book was so fascinating. And it obviously proves that even if I don't read THAT much non-fiction, I still read AWESOME non-fiction. Good Wives, by Laurel Thatcher Ulrich. I love everything that I've ever read by Ulrich. She takes seemingly static topics and adds so much nuance to them. The Golem and the (D)Jinni, by Helene Wecker. It was good, but so slow! Review forthcoming. Aya: Life in Yop City. 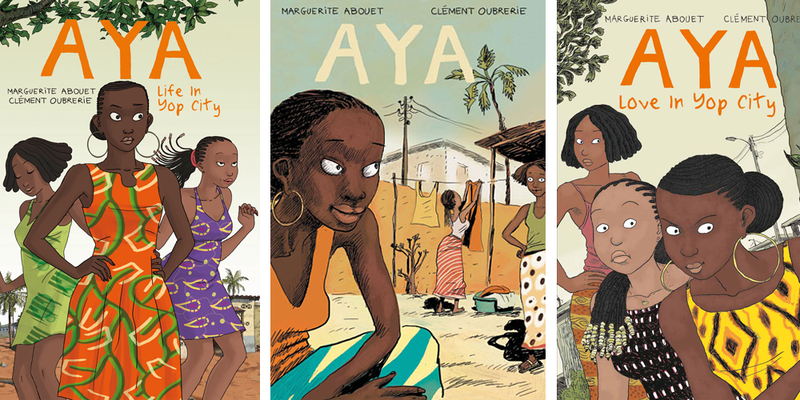 The artwork in this book was really great - the colors, the clothing, the buildings, the furniture - all of it brought life in the boom economy of Ivory Coast alive to me. Through the Woods, by Emily Carroll. Review forthcoming. BUT OHMIGOSH, IT IS SO SCARY. Well, there were only 13, so this doesn't say a lot. But Family Matters, by Rohinton Mistry, was magnificent. It truly brought to life just how difficult life can be for the elderly and infirm. Diverse science fiction! I have never considered myself a sci fi reader, but Aliette de Bodard and Nalo Hopkinson are changing my tune. Excellent short stories. I particularly enjoy short stories on audiobook. Clarke, Asim, de Bodard, and Murakami were all great successes for me. Jeff Chang's mind is a wonderful thing, and he uses it to draw connections between cultural movements, political campaigns, public art and more. A truly fascinating read. 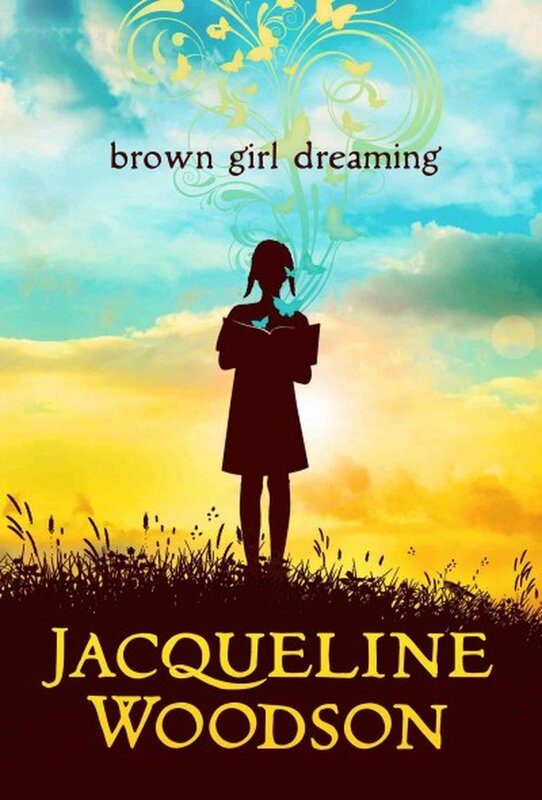 Jacqueline Woodson's memoir-in-verse of her childhood is also my hands-down winner for the most beautiful cover of 2014. My review of Marjane Satrapi's comic about growing up under an increasingly totalitarian regime in Iran is forthcoming. Spoiler alert: I loved it. A beautiful novel about a girl growing up in rural Canada, this book hurts so good. Seriously, people, even if I don't read a ton of non-fiction, I did love pretty much every non-fiction book I read this year. This one was the one I most looked forward to reading, and I loved every page of it. 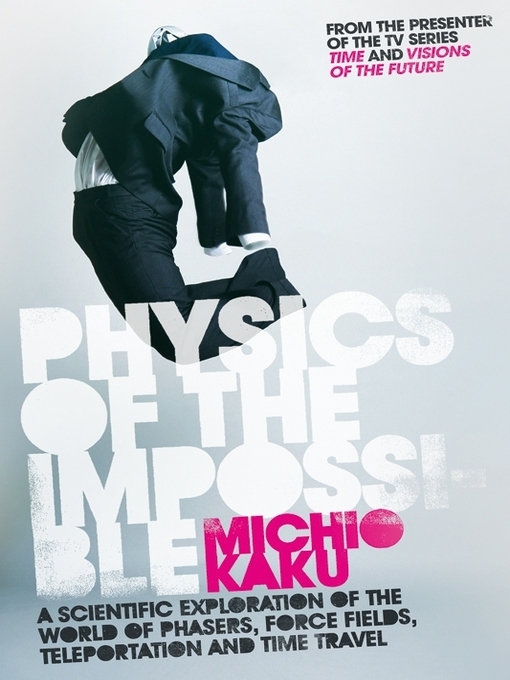 If you haven't heard the 99% Invisible podcast that sets some of this book to music, you should. I think this is my third or fourth time linking to it now, so JUST DO IT. I definitely need to get myself a copy of the above edition, with illustrations by Charles Vess! If you like faerie stories, you will like this collection. It's great. Nelson Mandela was such an inspiring person. Getting to know him better through his book was such a gift. I read several depressing books by Indian authors over the past year and am not sure I want to try them again. But Mistry's novel was so beautiful and brought the whole extended family interplay to life so well that I may just have to take the leap. I had Blue Lily, Lily Blue on preorder, so got it as soon as it was published, but I still haven't gotten around to reading it yet! I want to reread the others in the series first. All these round up posts are adding terribly to Mount TBR! I know what you mean - so many books that I never even HEARD of making it on people's lists! Love how you have organised this post, I've not seen anyone else do it quite like this. And 50% diversity, that's amazing! I'm going to track this for the first time ever next year as I suspect I do not read quite as diversely as I think I do. Just as I don't read nearly as many books from my own shelves or non-fiction as I suspect! That's the power of numbers, I guess - they don't lie. Glad you will be tracking! 50% diversity is awesome. I did about 25%, so I am super stoked about your number. I love Aya's dress on the first cover so much. I really want it. Every time I look at that cover, it makes me so happy. Persepolis is great. I can't wait to read your review. I love the geometric designs on all those dresses! And 50% diversity wasn't really that difficult - it is only that I kept tabs on it throughout the year and would have to do some adjusting to get back on-track every few books. But other than that, quite simple :-) You can do it, too! I will have to make time for Malla Nunn in 2015. A Taste of Honey also sounds really good, so I will track down a copy. Oh, I hope you enjoy Nunn! She's fantastic. There are several books here that I loved (Long Walk to Freedom, Persepolis) and many more to investigate. Family Matters has been on my shelf for several years... and I didn't reduce my tbr pile much this year either. Will make it a priority for 2015. Happy New Year, Aarti! I'm going to try to really up my diversity this year. I'm so happy Stiefvater's Raven Cycle is getting so much love. I really enjoyed the series (so far anyway). Same - I hope the last book brings it home! 50% is AWESOME! I think I surpassed 25% which was my initial goal. Now I'm ready to raise that bar in 2015. Cheers, Aarti! Good for you, Andi! I had a feeling you were pretty high up there based on your reviews this year. Great post! Happy New Year, Aarti! I hope that publishing gets more diverse, too, but I still feel like readers need to make an effort, too. It does seem like books get published, but don't get promoted. And so people don't read them even if they are out there. You had a really good reading year. I hope 2015 is a year full of laughter and happiness for you. I just love this post -- the format and your enthusiasm for the reads here. My reading diversity was abysmal this year, and I'm going to improve it for 2015. I loooooooooooooooooved Persepolis -- gorgeous and gripping. I know, I can't believe it took me so long to read it! Now I want to read Chicken with Plums. Goodness gracious, so much wonderfulness to comment on! Maggie Stiefvater! Kamala Khan!! Flavia! Woodson! Persepolis! Aw geez, I'm going to quote the whole post. One more; FIFTY PERCENT! I I am not happy with my number at all. It's something to work on. I'm glad you had such a great year Aarti! I hope 2015 is just as amaaaazing. What a great post! It sounds like you had a great year in books. The Ladies of Grace Adieu and Other Stories is one I've been wanting to read for ages. I loved Jonathan Strange and Mr. Norrell. I hope to read more diversely this year. And some nonfiction. I can't believe I didn't read any nonfiction this past year. Ugh. Here's to a very Happy New Year and many wonderful reads! I think if you loved JS&MN, then you are very likely to enjoy the short stories, too. I got to Raven Cycle just in the last two weeks. LOVE! So many great books here .... Plus some I haven't gotten to yet. That's a pretty sweet way to end the year, with all the raven boys! I envy people with commutes solely for the audiobook possibilities. As is, I fit in a couple a year here and there but most of the time don't have any big chunks of time to dedicate to them. And I don't know how I missed Wild Ones but I'll need to read that one! I listen to audiobooks while cooking, too, if that would work for you. Ooh, Persepolis! It's been several years since I've read it, but very good stuff there. And Family Matters - Mistry is not exactly light reading, but always worth the journey. I REAAALLLY have to get started on the Raven Cycle! You do! I think you would like it SO MUCH. I'm glad you wrote what you did about audiobooks. Back when I was driving my son to school 30 miles away, I read so many more books because I had that time to listen. I don't get to read nearly as many now. :<) Have you seen the movie of Persepolis? Really, very good. I have seen the movie - years ago. I think maybe that's why I didn't read the book for some time. I liked the movie a lot, too. Oh, thank you, Trish - that means so much to me! And I LOVED Monkey Beach. I hope you are able to get your hands on it. YES 50% diversity!!! That's my goal for 2015. I'm really looking forward to making it happen. You convinced one person to listen to the 99% Invisible podcast and read Wild Ones, and I loved it. It's making my year-end list, too. I am afraid that my reading is going to be reduced drastically this year because I no longer have my commute - I was also doing 2 hours on a subway. I have to say that I'm really enjoying not having that commute anymore! Even if my reading time is cut down. I do drive a lot for my new job, so I get to listen to a lot more audiobooks. 10 since August! 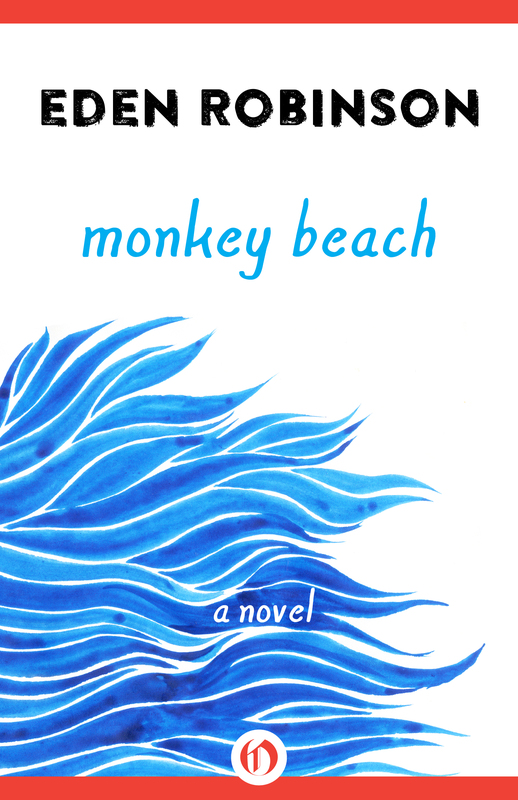 Monkey Beach sounds really great and I'll definitely be checking out Aliette de Bodard and Nalo Hopkinson. Happy New Year! I'm so glad you loved the book, too - I saw that you read it for non-fiction November. And I agree - while I enjoy the reading/podcasting time, I think I would prefer to just have the time back to do whatever else I want. Aya has been siting on the TBR for waaay to long. I'll join the Graphic Novel Challenge this year, so I'm hopeful I'll soon pick it up. 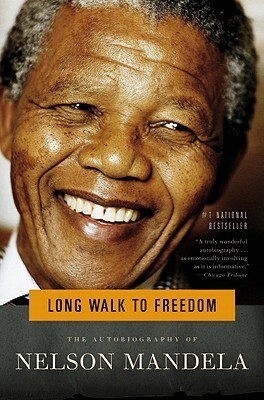 Long Walk to Freedom was also a favorite in 2013 - one of those big books (+ time spent on Wikipedia) that fly by too fast.